I love finding ways to bring God into our lives. I know I personally need time to reflect and pray and want to teach Hazel to do the same. I found some books to help me with both of these things. The first is for me--some Mommy time. 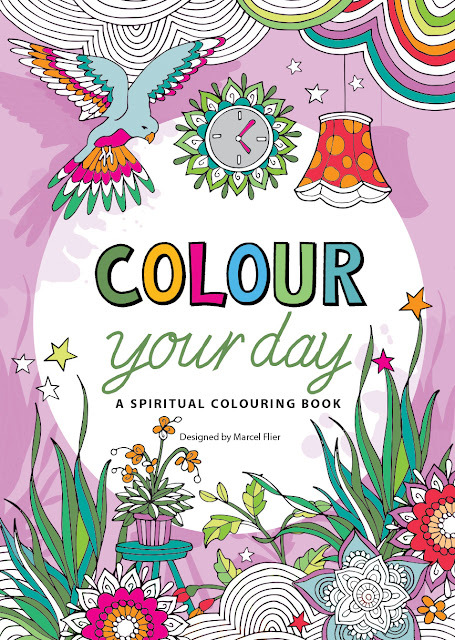 It is Colour Your Day: A Spiritual Colouring Book by Marcel Flier. Now I have mentioned the adult coloring craze previously and reviewed a fun adult coloring book already. 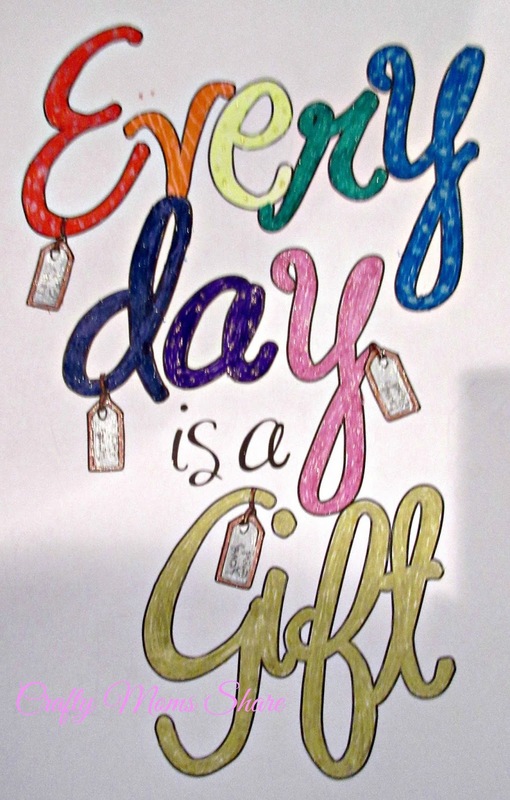 What is different about Colour Your Day is that the focus of each page is on God and/or Jesus. 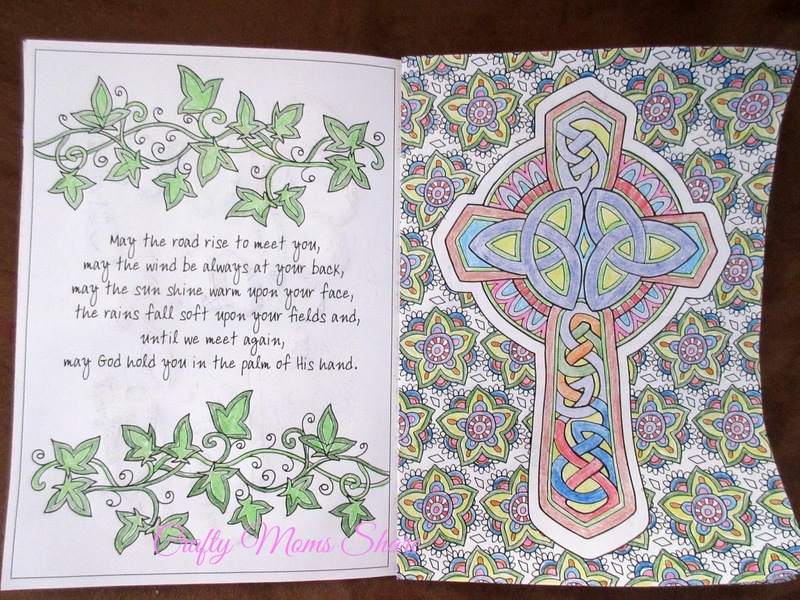 There are scriptures quoted, blessings and such on these pages as well as crosses. Coloring the pictures makes me focus on God and have some time praying and creating. 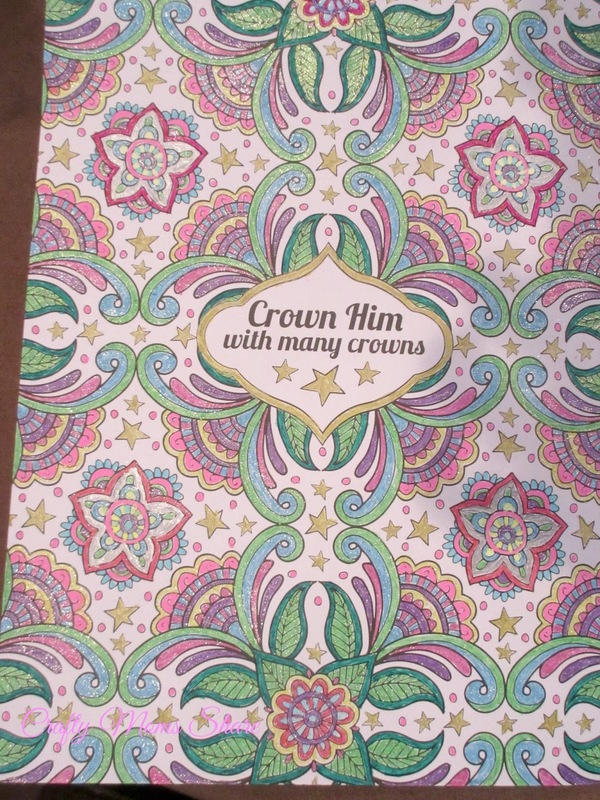 While coloring in this book I experimented with our various gel pens and with some new color pencils. My favorite gel pens are from Lakeshore Learning and I really like the metallic ones as well. It took some getting use to with the colored pencils. At first I didn't like them much but the more I used them the more I liked them. I wish I had more color choices. 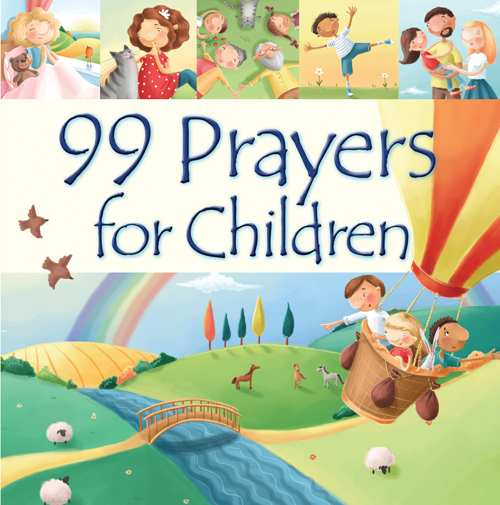 For Hazel I found 99 Prayers for Children by Juliet David and Elina Ellis. This book has eleven sections including Special Days, Bedtime, and Mealtimes. The prayers are short verses and are easy to read. Some are familiar and others are not. Some rhyme and others do not. 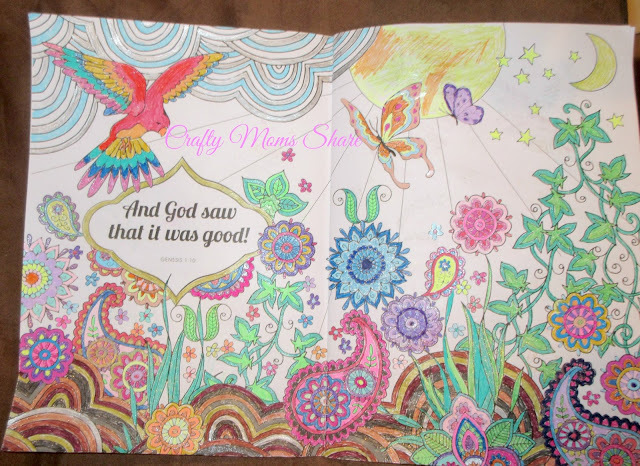 The pictures to go with the prayers are colorful and cute. Hazel has been loving reading these prayers. We read a few each night at bedtime, but she will be able to read them on her own whenever she wants. 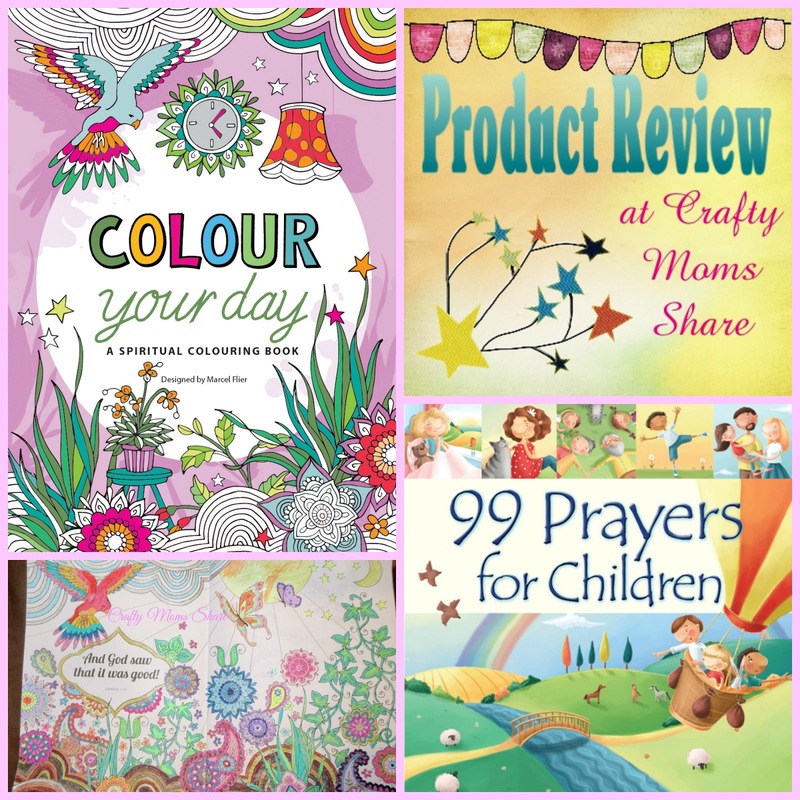 Many of the prayers help children learn to turn to God when there is a problem or they are feeling sad. 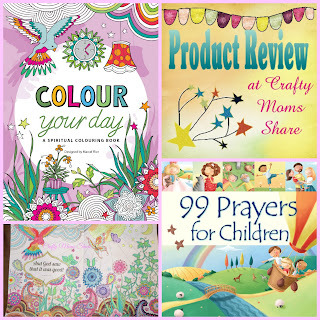 The pictures are eye catching for children and it is a fun book as well as educational. We really love it. So I hope you will check out these two books. We love both of them!! I am having so much fun with the coloring book and am finding it so relaxing as well as using the time to pray.